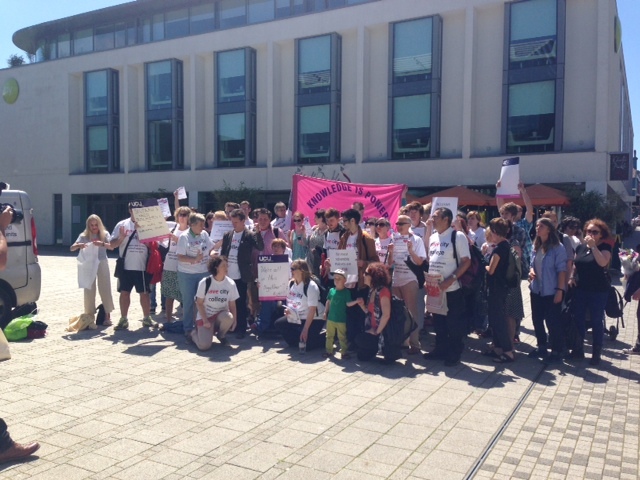 Teaching staff at City College, Brighton, staged a one-day strike last week in defence of jobs and courses. College management have announced plans for swingeing cuts there. The UCU college lecturers’ union members were joined by Unison members, who work as support staff at the college, at a lunchtime rally. Unison is also balloting on taking strike action at the college.